For anyone interested in doing a 4x6 card; right now at Walgreens you can get 50 prints for $5 by using the coupon code "summer5" - Great Deal for a baby shower, or a summer BBQ etc. . . I have a ton of fun SUMMER stuff for birthday, BBQ, 4th of July, swim party, beach, lu au, surviver, vacation themed events etc. 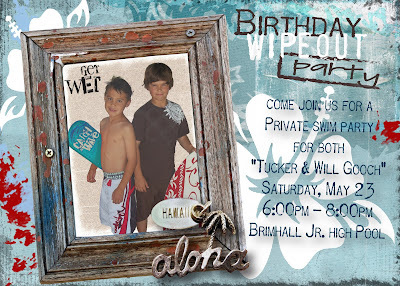 . .
**My latest quick birthday invite for my own boys! 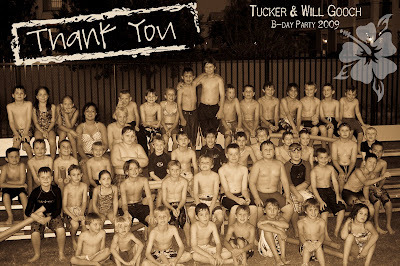 **I used the Walgreen coupon to print this Thank You card to hand out.